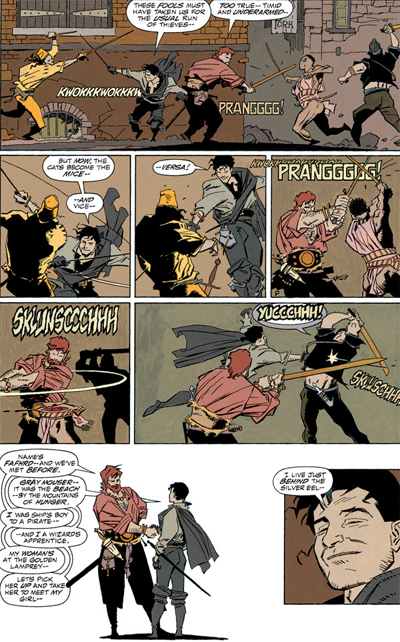 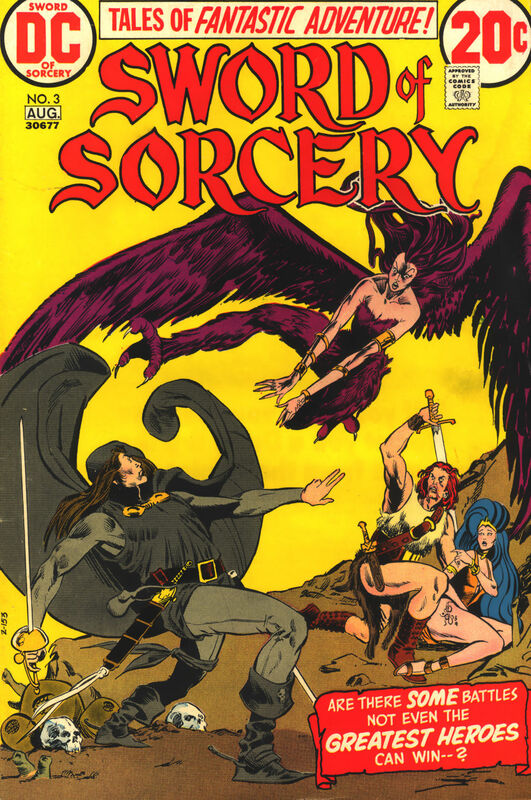 First appearing in DC Comics Swords and Sorcery (by by Denny O’Neil and Howard Chaykin) Then in a new set of comics (Howard and Mike Mignola), these Lankhmar stories were spread across 4 issues, Dark Horse have made these later versions into and anthology edition. 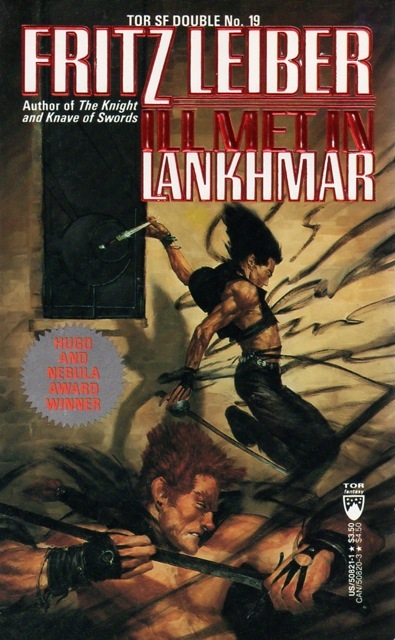 The Hugo and Nebula award winning Novellete Ill Met in Lankmar is bundled with The Fair in Emain Macha by Charles de Lint. 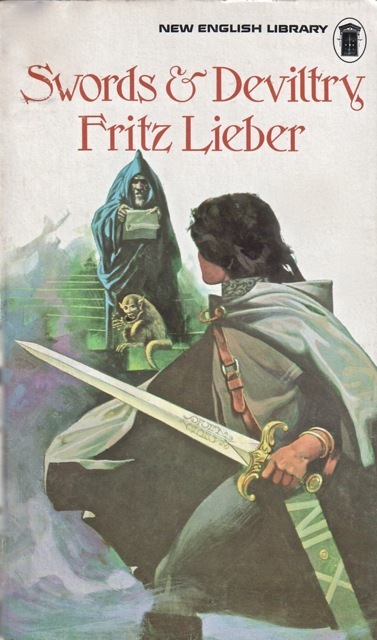 Charles de Lint pays tribute to Fritz in his introduction. 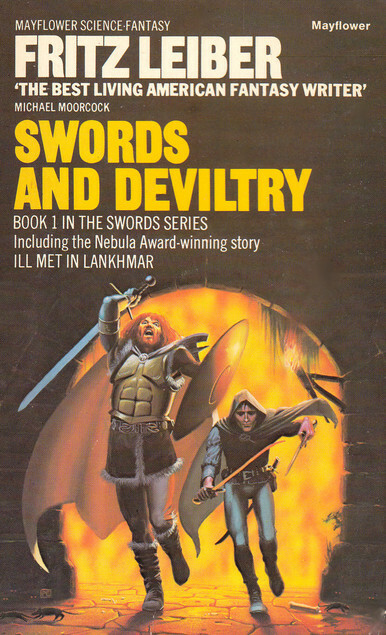 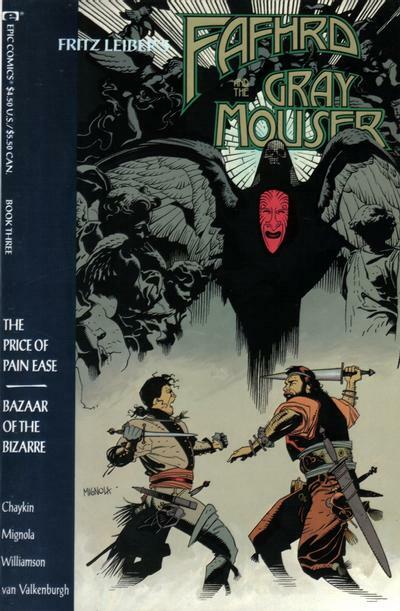 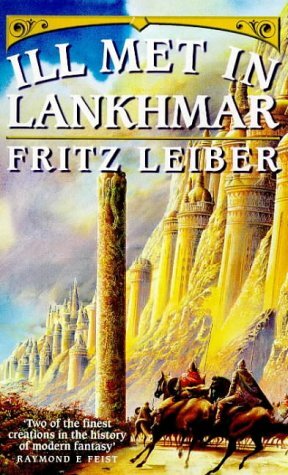 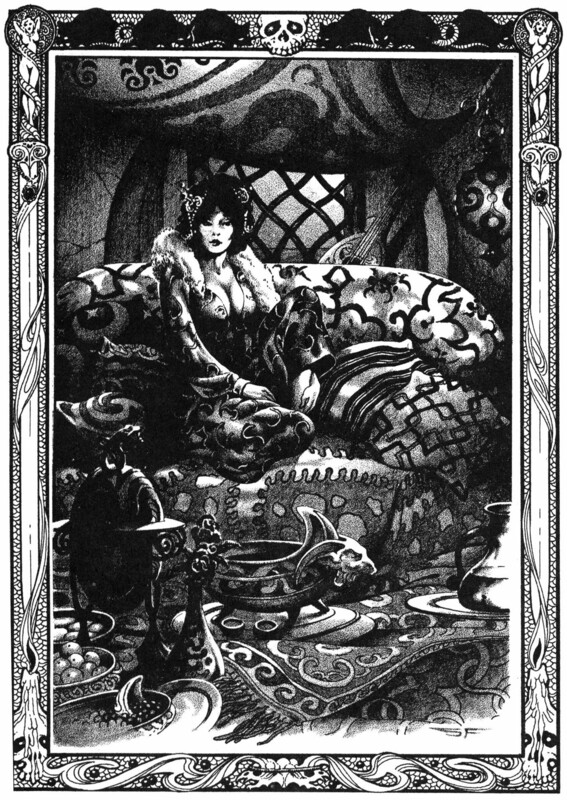 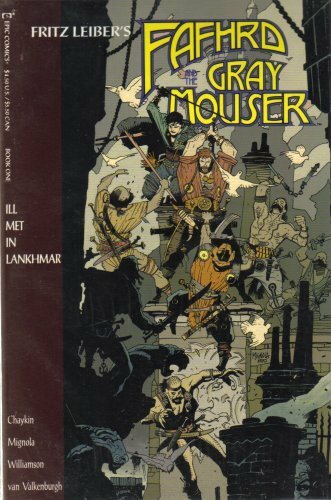 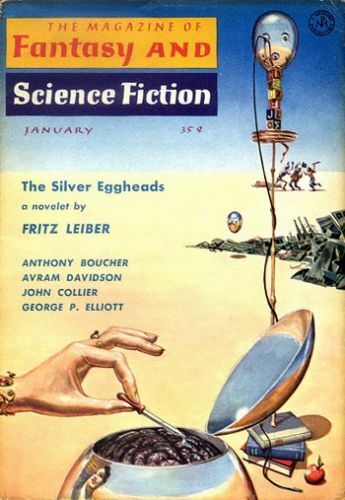 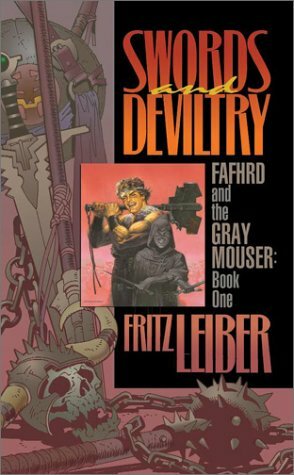 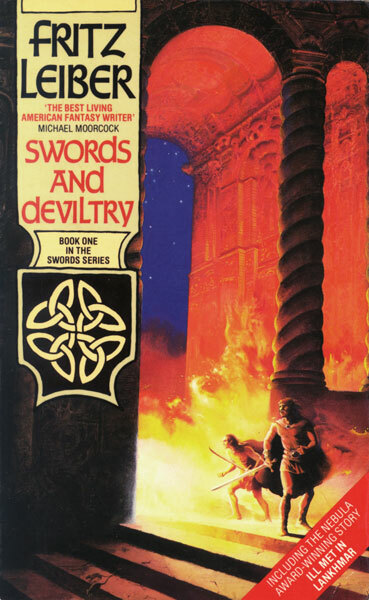 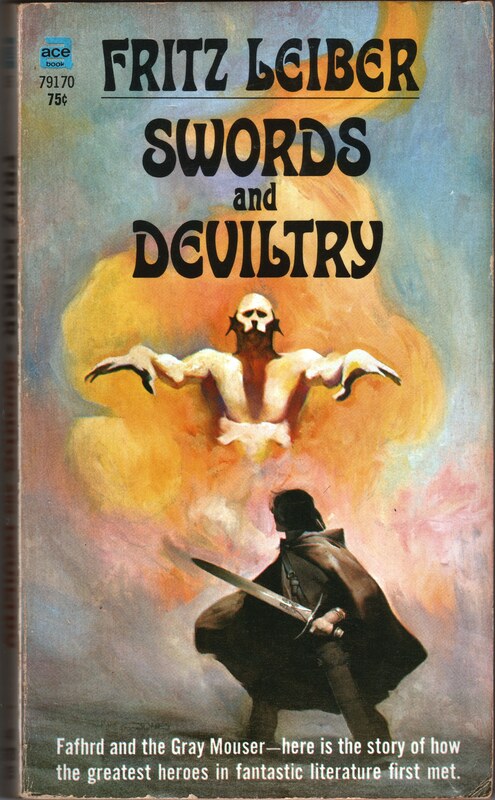 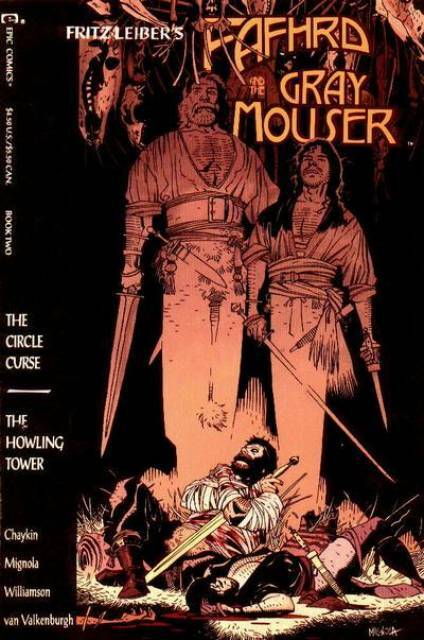 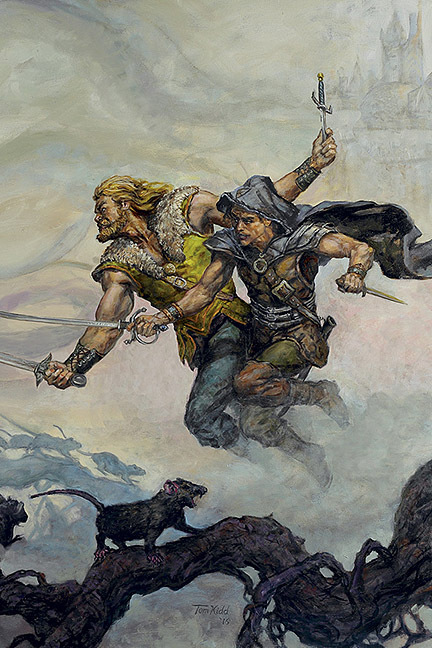 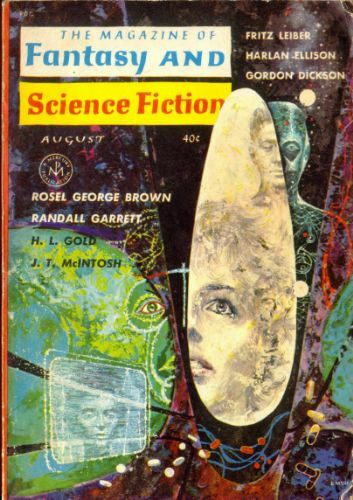 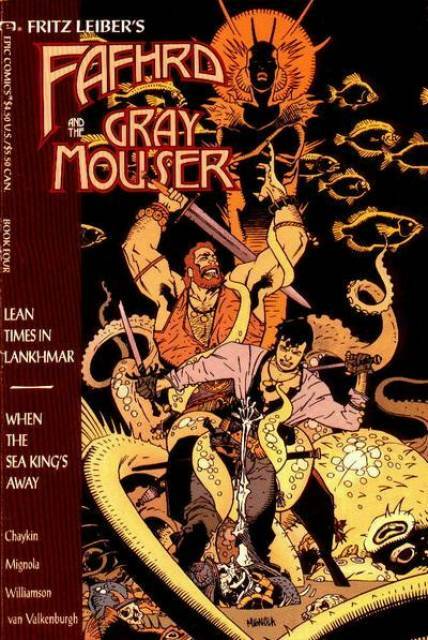 Tor Double #19 is an old-and-new contrast — the very first of Leiber’s tales of Fafhrd and theGray Mouser, and an early work by one of today’s best young fantasists (the author of Yarrow,Moonheart, and Svaha). 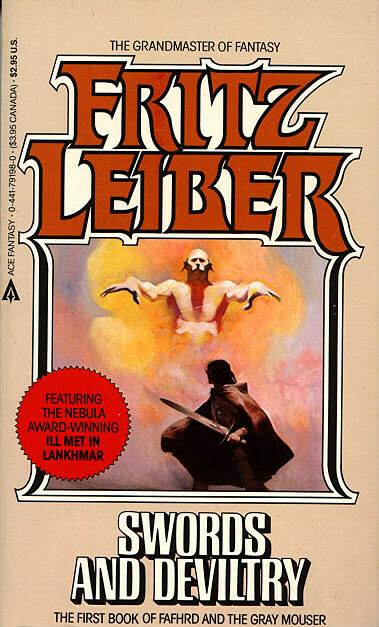 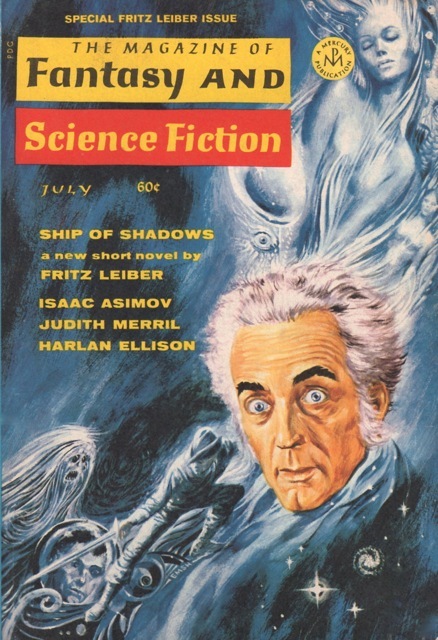 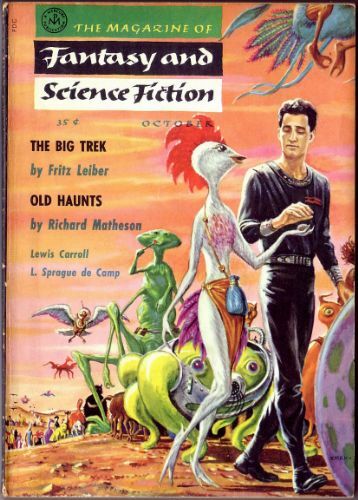 Both are excellent of their kind, Leiber’s particularly so. 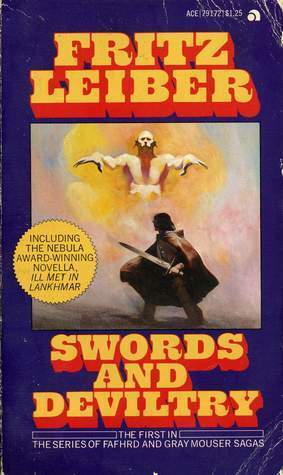 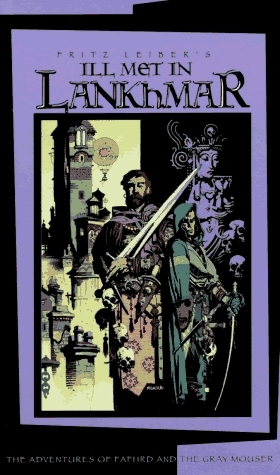 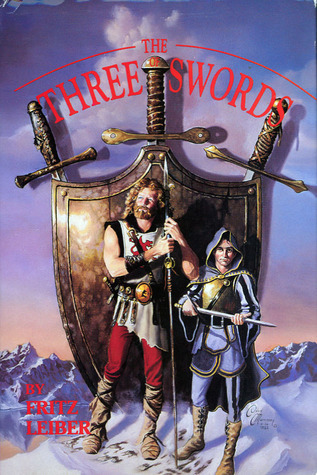 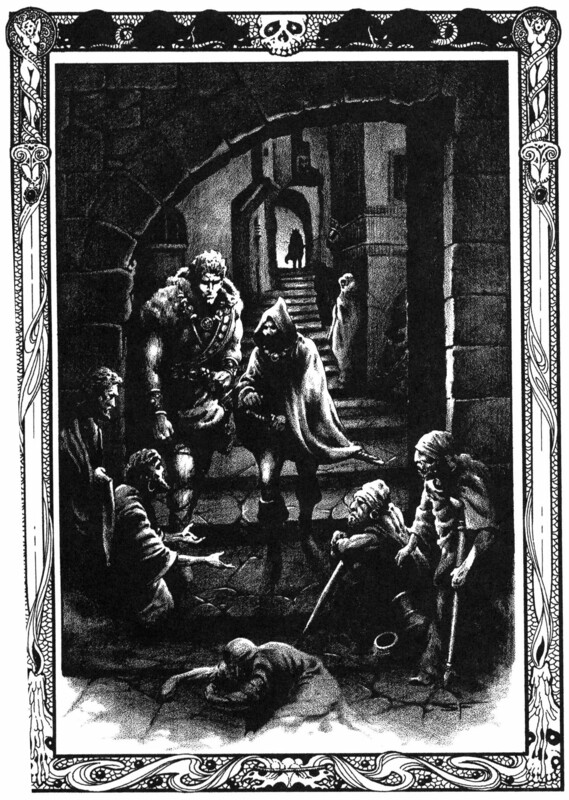 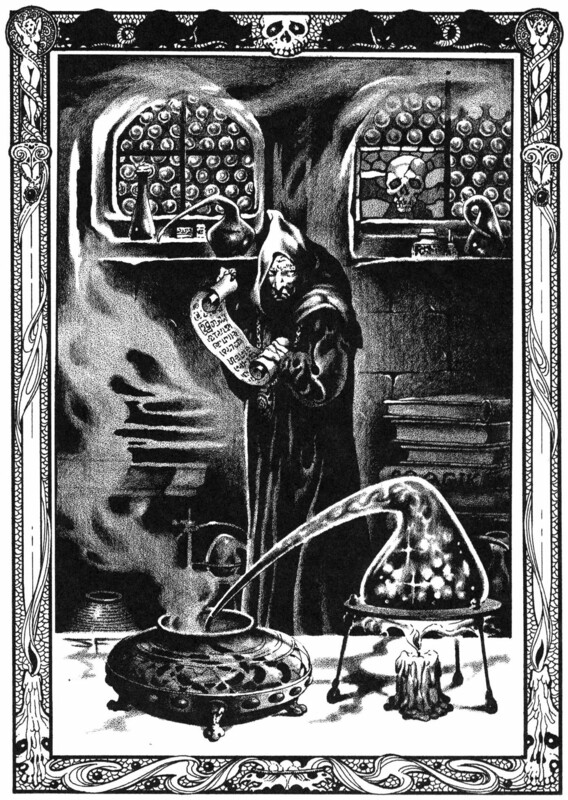 Lankhmar has spawned so many imitators in the decades since Leiber first chronicled the skulduggery in its dark streets that it is easy to forget how good the original stories were. 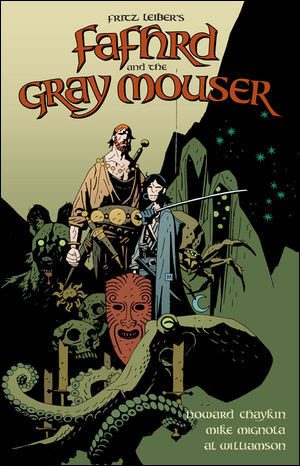 Rediscover, and enjoy!